Butter and Buntings: Recent makes: One of a kind Beatles tshirt and a vintage book turned into 3 decorations! Recent makes: One of a kind Beatles tshirt and a vintage book turned into 3 decorations! Yesterday we celebrated our nephews 3rd birthday. It was very cute. He was very excited and stood waiting for me to hand him his present. This was good, because it meant he would actually take note of what he got, rather than just rummaging through a huge pile. 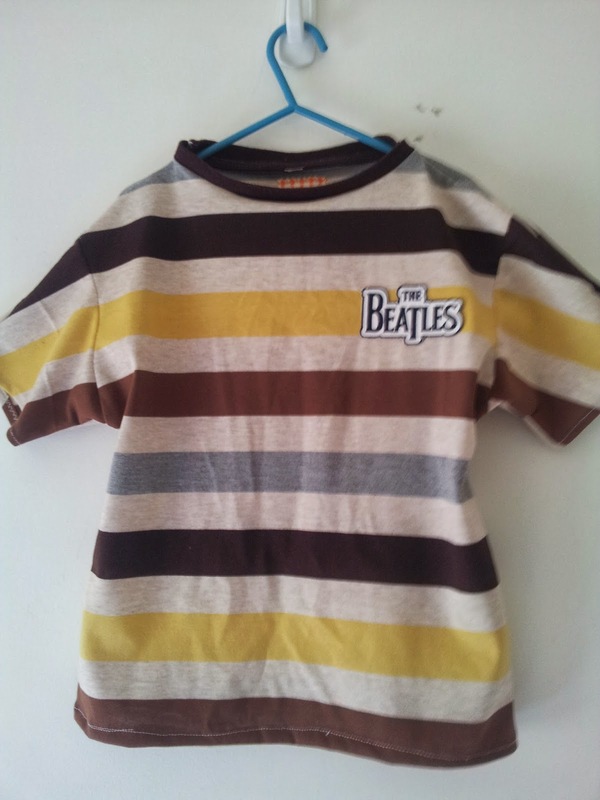 He is a Beatles lover, thanks to his Dad, and we are delighted to encourage this obsession with him. 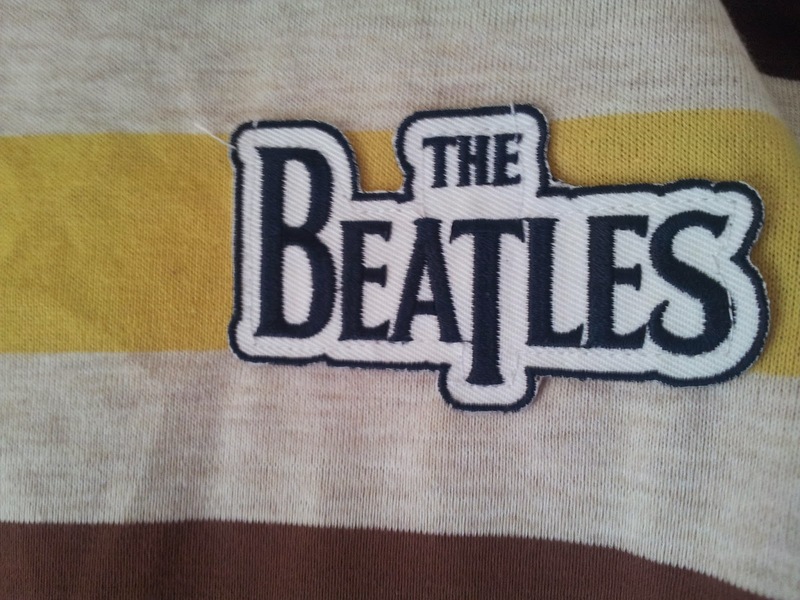 I decided to make him a one of a kind Beatles t shirt, made from op shopped material and a Beatles patch I've had in my collection for about 10 years. We threw in a much loved Beatles album, Help, and I did some paper craft too. tshirt material was from the opshop, I used a tshirt of my sons to get the size/shape. 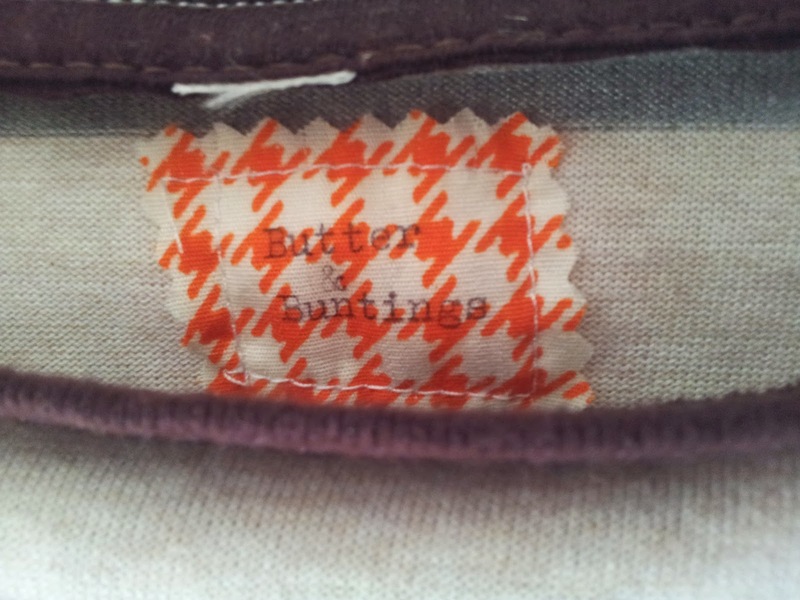 I attached a tag, which I made by typing on fabric with my typewriter! I've had this patch for so long. Am really happy with how I've ended up using it. Its an iron on, but I stitched it. 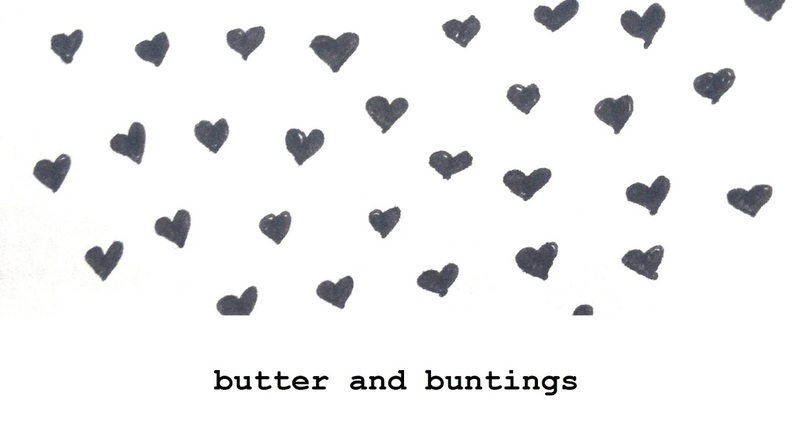 I also wanted to make a bunting for his room. 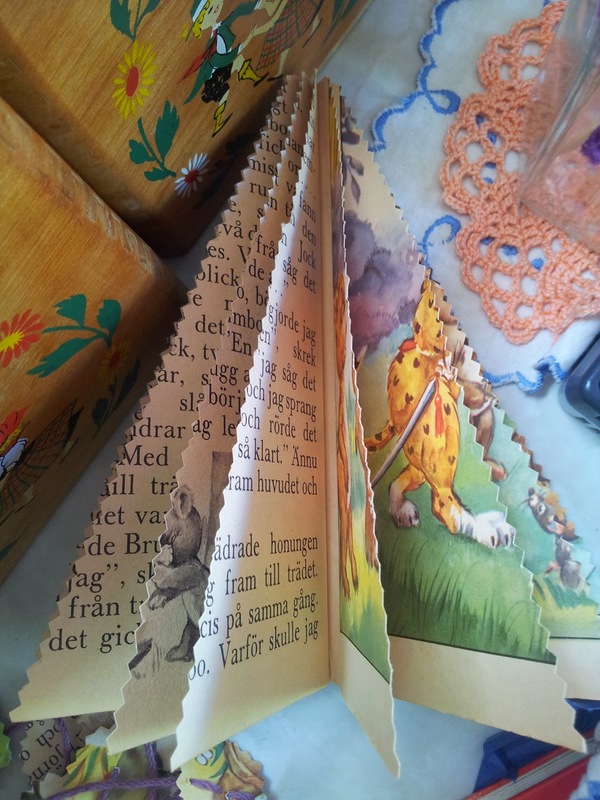 I had a very old Norwegian children's story book with the best illustrations, so cut that up. 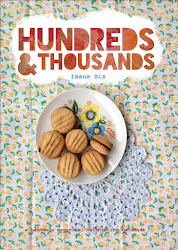 My friends helped me with it all on Saturday night (while cupcakes were being consumed) so that was great fun! Mind the kitchen, but this is the finished product. 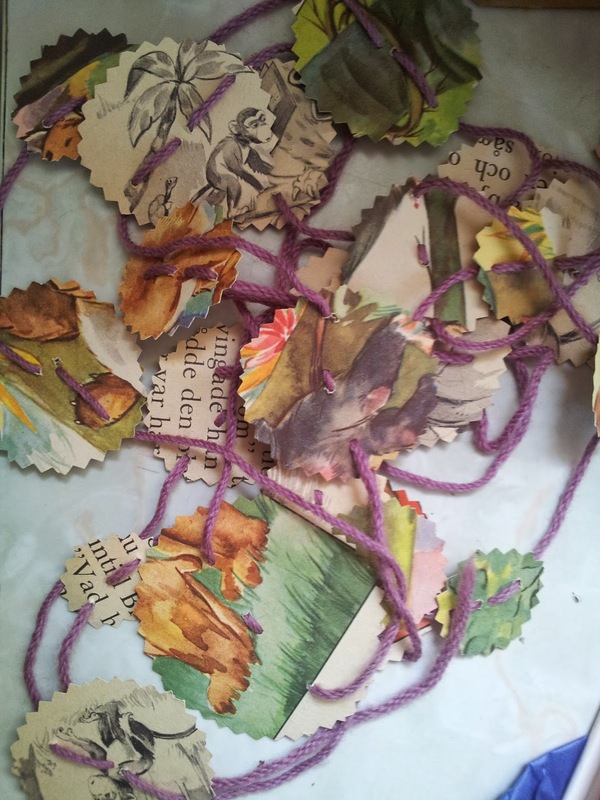 and circles of scrap paper were turned into this garland! 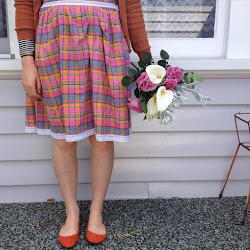 Have you been crafty at all lately? Anything you've made where nothing has gone to waste? It's always such a good feeling! I've been baking this week, so I have a chocolaty recipe to share with you soon! 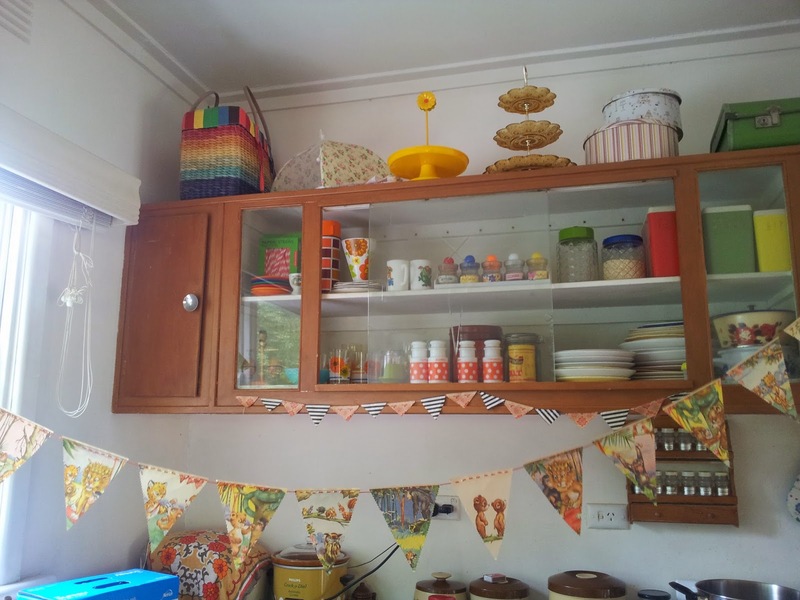 P.S My vintage recipe swap is all happening now with partners chatting and maybe even making/thrifting and choosing favourite recipes already, so will keep you posted as we go along! If your joining and have not heard from your partner please let me know! 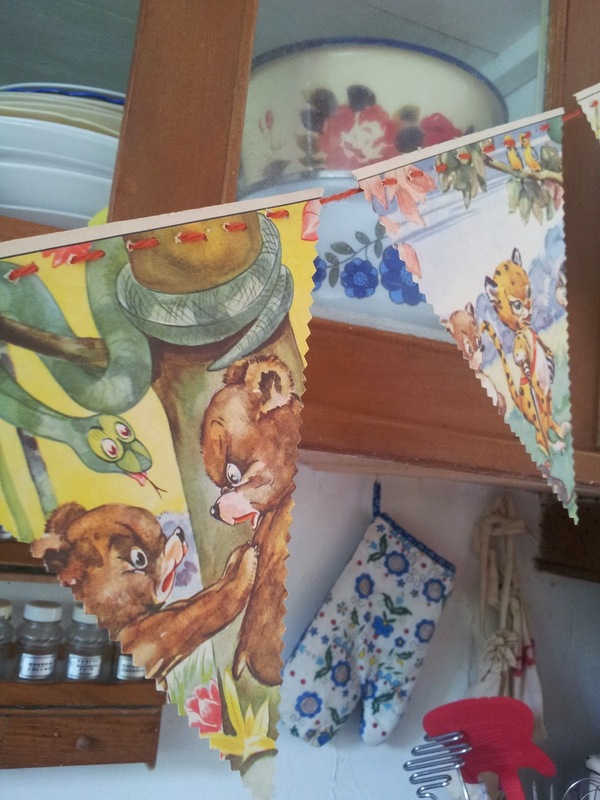 HI Taz, I love story-book bunting! I think that's something i can make and send you actually... because it's something i really enjoy! What's with Norwegian kid's books though? All the animals look so peeved at eachother... hilarious! Hey Taz. 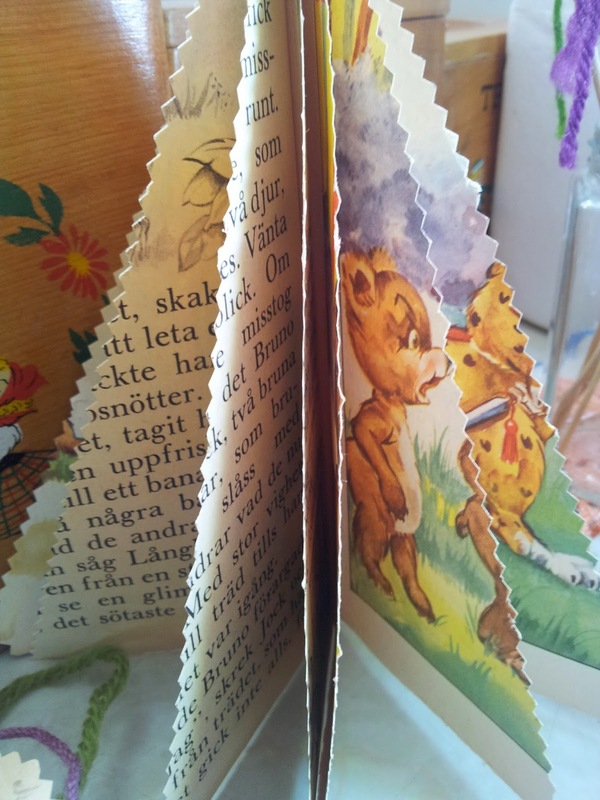 Do you have a tutorial on books into bunting? 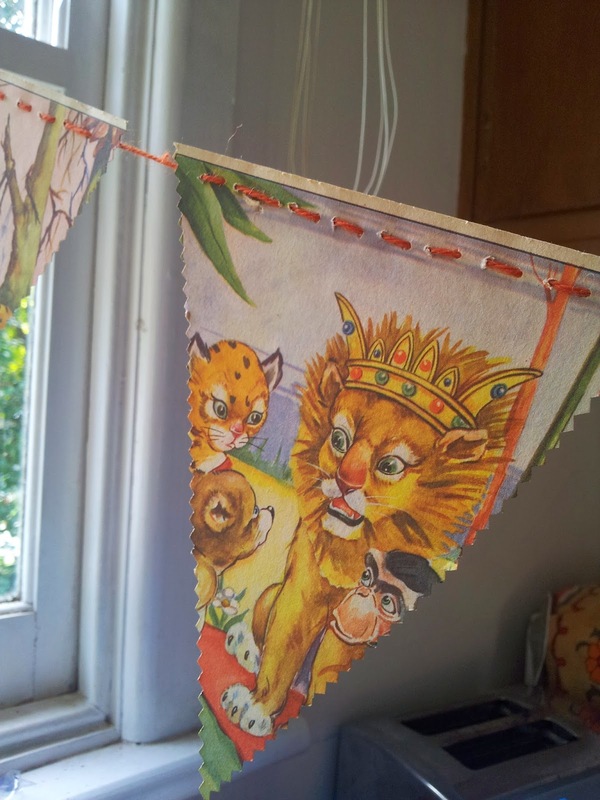 Would love to try to make bunting of of Christmas cards but not sure of the best way to do it?